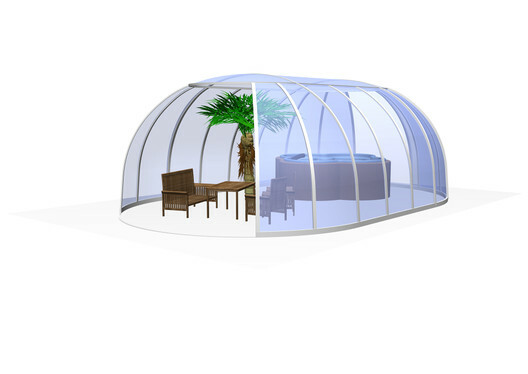 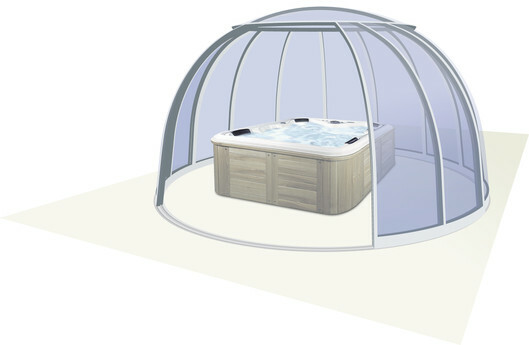 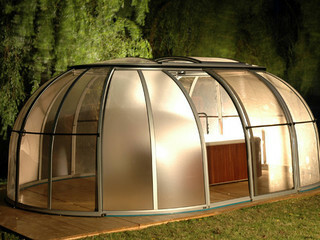 The SPA SUNHOUSE® / SPA GRAND SUNHOUSE® is an oval version of SPA DOME ORLANDO. 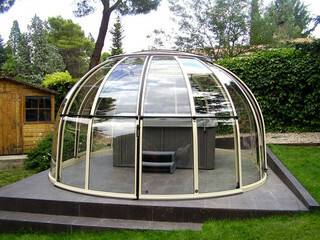 Thanks to its generous size Sunhouse offers customers adequate space to enjoy and relax. 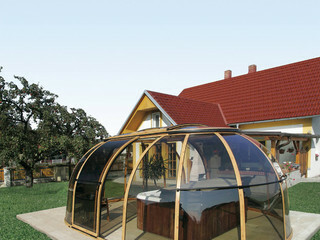 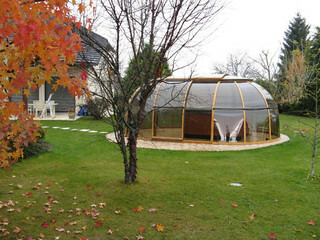 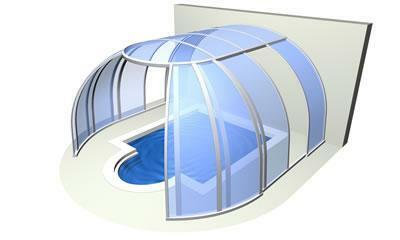 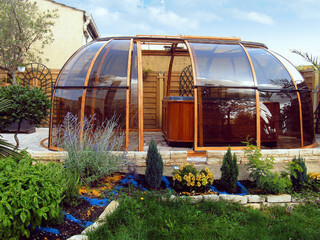 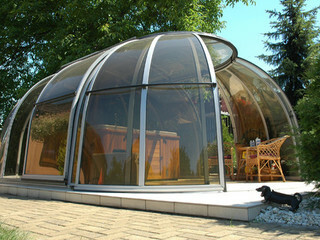 The enclosure is large enough to accommodate a small swimming pool, a swim-spa or exercise pool. 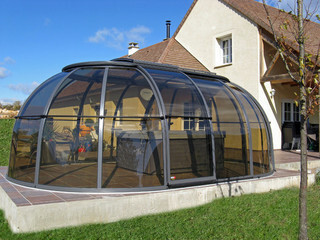 With two doors and sliding roof top to assist there is great ventilation within the cover. 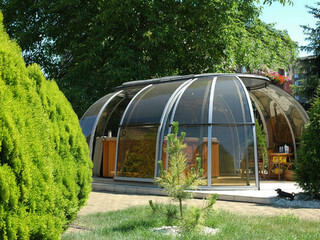 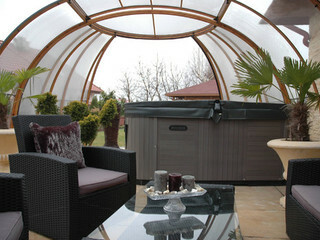 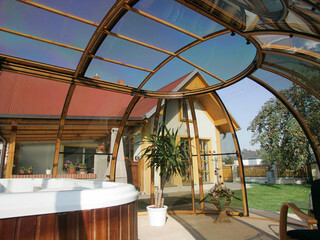 Choice of tinted polycarbonate, makes this an ideal place to unwind and relax. 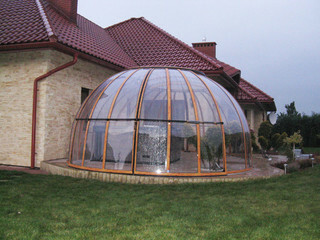 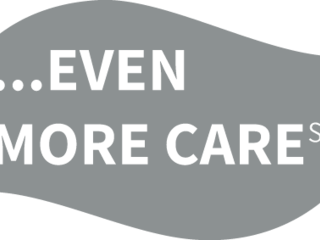 Structural elements ensure easy manipulation and an easy maintenance.